Every month, I put aside some cash and use it sparingly throughout a few weeks. You see, it’s not so much about being frugal. In the past, whenever I had a few hundred dollars in my purse, I would have used it in a blink of an eye. Before I started a full time job, I was already spending more than I could afford. After I have been pinched hard in the pocket, I learned my lesson. Knowing that there’s no way to evade the economy inflation, I am managing my money more wisely. Before, I was driven to spend due to instant gratification. Now, I practice the art of delayed gratification. So instead of just spending away, say 100 dollars, I am learning how to make good use of it for my future by following these strategies. One of the basic tenets we learn as a kid is to save our money. I didn’t grasp the importance of it until I ran short of it when my father was admitted into the hospital. The emergency situation we see on television such as natural disaster, illness and job retrenchment are daily events happening to real people. The question isn’t whether we are earning enough, but rather are we saving enough for the rainy days. How many of us are actually ready to make immediate financial decision in order to save a life or to protect our valuable assets? To be able to cater for that, we have to start saving today. Even if the amount is small, allocating 100 dollars each month is a good start to create an emergency reservoir. Once you are doing it regularly, you might consider increasing your savings per month or create new funds for pension or mortgage that garner higher investment return. The key point is, the earlier you save, the better prepared you’ll be. Avoid being stuck like those in the sandwich generation. Are you stressed out with your credit card debt? So am I. Over usage of the credit cards plus inadequate savings can lead us to an undesirable debt crisis. Credit card transaction is a money making industry and it’s expected to grow even more with the emergence of e-commerce. As illustrated in the video, we allow ourselves to think that we can buy now and pay later, yet we do not know how to properly manage our monthly expenditure. So, stop the spending and see if you can use that 100 dollars to pay your outstanding credit balance instead. In actual fact, you don’t need to have superb financial knowledge to manage your debt. What you do need is the discipline to pay on time and prevent yourself from accumulating debt that could harm your credit score in the future. Consider donating 100 dollars for a good cause such as cancer research, wildlife conservation or sponsor a child for his or her education. Don’t do it for the sake of looking good or because someone tells you to do so. Instead, do it with the attitude of paying forward. This form of gratitude teaches that nothing belongs permanently to us, even our money. By giving it away, we leave behind a positive impact in the community and for our future generation. When was the last time you took your spouse out for a dinner? What about the promise you make about taking your kids to the zoo? Well, take that 100 dollars and spend some time with your family today. Nothing can be more rewarding than the joy we give to the people that we love most. Our family will always remember us for the good memories we share with them, not what we buy for them. You are your biggest asset. If you do all the above, but do not spend a dime on your health and nurture your personal development, you are not doing yourself justice. For 100 dollars, you could screen for a basic health test. Many impending illnesses could show themselves on these examinations and your physician will prompt you about it. If you feel that your personal development has been stagnant in recent years, then it’s time to try something new. You need to fuel your mind and soul with new ideas to stay alive. Investing in personal development is the greatest reward you can give to yourself. Ask yourself, which of these two categories of people do you want to be? I am pretty sure you want to be a successful person, just like I do. With 100 dollars or less, you can buy a self-improvement book, enroll in an online course to develop new skills or even start an online business. Look around; there are tonnes of ideas that can be good business opportunities. ‘100 dollars’ is just a perspective. The whole idea is, if you know how to make 100 dollars worth your time and your future, you can definitely do a lot better with 500 or 1000 dollars. The outcome of your future lifestyle depends on what you do with your money today. By practicing these 5 tips, you will be a step closer to becoming a more wealthy person. 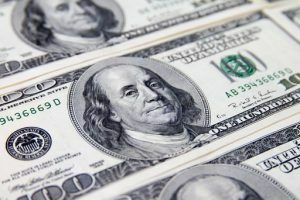 If you still don’t know what to do with your 100 dollars, visit Wealthy Affiliate to learn how to build a solid foundation for your journey to success. Do you have any thoughts or questions about this topic? Please leave them in the comment area below and I’ll get back to you. 50th week 50 euro and so on. The amount I saved in the end of the year is more than 1300. Do you find it a good idea? Easy to follow, you don’t even feel it. Your site is amazing and it is very important to understand, even from childhood, how important it is to have an emergency account. Hi Christina, that’s such a smart idea! I used to do something similar back in college and was able to save up for a new laptop. Now that I am working, I have my savings auto deducted for investment plans instead so whatever that’s left in the account is basically free cash that I am entitled to use. As it turns out, I am now using those money to start an online business and that’s probably the most important decision that I’ve made my entire life. Great information here Cathy! Really like what you and your site are promoting. A lot of people don’t think that 100 dollars can be an investment in your future. I definitely think investing in yourself by gaining knowledge is a great way to improve your future. The more skills you have the more valuable you become. I would say I agree with you Cathy that setting goals and setting aside some money for whatever makes you happy is key. My wife does a $50.00 a month for something different. We already have a separate budget that is used for Resturants, any of her personal care with makeup, massages, etc. She likes to use the money for Sunday drives and check out shops and things or extra spending money on trips. I like to save up for travel. Your idea of being with Wealthy Affiliate is great as I run a renovation company and also use a website for future growth. I like the fact that you also mention to give the $100 away and donate into a non-profit organization. 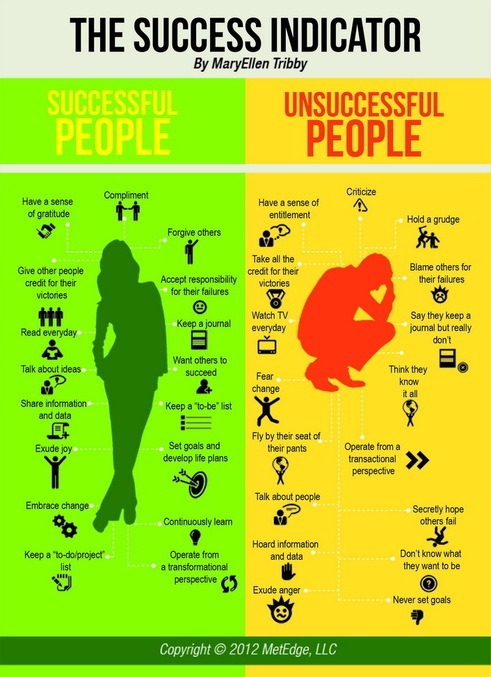 Also the image you used for explaining the difference between successful people and unsuccessful people is on the spot. Sadly, there are still a lot of people who see it otherwise but I totally believe in your vision, especially joining the program at Wealthy Affiliate to create a better future for yourself. Although there are plenty of online training platform, none has come close to what Wealthy Affiliate has created – step-by-step programs, video training, community support and website creation. All these are more than enough for anyone who is thinking about starting an online business from scratch. In less than $100 per month, you can be part of this training, learn the skills of proper online marketing and become a successful online entrepreneur. This is a really good post! I was actually just talking with my friend yesterday about how it is my goal to get $5000 saved and once I have reached that minimum savings amount to always strive to keep that much in savings. I also explained how I want my kids to do the same. My oldest son just turned 14 and began working at Publix. I told him to save his money because I won’t let him get a car until he has $5000 saved. And once he has bought a car, he needs to get to $5000 in savings again in order to move back in with me (he lives with his dad now). Because it really is that important to have money saved as I have learned the hard way. By the way, I love the picture of the two types of people you have here! That’s a very high expectation rule that you’ve set for your son, but it’s going to make him understand the value of money so that’s a good thing. I can’t help emphasizing the importance of saving up especially with the spending habits by our youth these days. With $5000 dollars (after he buy his car), he can do so much using the methods that I’ve just mentioned. What a great article. This one hits home for me. I went through a bankruptcy in 2009 and had vehicles repossessed and lost my home. I lived within my means but I was ill-prepared for when my “means” changed. When I had filed for bankruptcy, I took the time to ask myself “How did I get here? I realized that all of the “necessities” that we have today have monthly payments attached to them and they all add up. So I switched from cable/satellite to Hulu/Netflix and turned $60 a month into $16 a month. Another change I made was instead of paying $90 per month for Verizon cell phones, my wife and I got two prepaid Tracphones for $240 per year. We also attended coupon classes and learned how to cut our grocery bill in half. We also limited going out to eat to one meal a week. We also have no credit cards and only have the money in the bank to live off of. The problem now is that the hours at our jobs tend to fluctuate but our bills don’t. Follow Cathy’s advice and invest your money wisely in yourself and do not go wild with your credit. Josh, this is truly a reality check for a lot of people out there, especially those in the sandwich generation, who aren’t prepared with financial backups. When things are smooth sailing, you just never thought about it. You and I learned it the hard way and didn’t we wish someone had told us to be smarter with managing our cash flow. It would be great if we can avoid money problem, but I think everyone will face it at some point in their life, no matter how financially rich (or poor) one may be. The only way to solve the money problem is actually the money itself. Ignoring money matters will only make matters worse. I hope everyone will take a leaf from your experience to save more money and put it into good use. Thanks for sharing. Great tips Cathy, I used to spend money as soon as it was in my hands. After having an accident, I had to learn how to spend my money more wisely. I also learnt to invest in myself, and to as you say “pay it forward”. I makes me feel really good inside to know that I have helped someone, by either making a donation or giving some helpful advice. I love the infographic too – so true. That’s true. We’ll never know the importance of our health until it is being taken away from us. Like all things in life, we need to conserve – our resources, our environment and our money – that way, we can learn to appreciate what we have and pass it on for others who have less. Keep up with the good work Craig. I appreciate your article because I LOVE the pay it forward idea. I actually try to “pay it forward” as often as I can, and it always makes me feel great! That’s true Val. I have always been the receiving end of this act of kindness and felt very blessed. Many of these people do not want me to return them the favor and that’s when “paying it forward” stem from my notion. It feels great to be part of something positive although it doesn’t benefit me directly in anyway. Wow, this is great advice on money management Cathy. Thanks for sharing. I used to spend a lot more than I earn too. How scary was that when you look back. That makes the two of us. My spending habits in the past was appalling. I wonder what evil spell had made me do so. I have since learned to manage my money more wisely and feeling more optimistic about my future. What a wonderful post. Paying off debts is huge. Learning to manage money can be difficult for a lot of people, but once you learn how to do it, your life can be way less stressful. Love the quote at the end – so true!! Thank you Insight. One of the first advice I get when I started working was to keep my debt small, nil if I can manage. A friend who works as a credit analyst told me that debt can have a chronic impact; you want to avoid it as much and as early as you can. To date, I choose to live necessarily – not luxuriously – to keep my debt (and stress level) really low. Now, I am using the reserved money to create a second income and I feel really positive about it. Great blog post on investing the $100 and you’ve outlined some very good ways to invest the money. For me, if I had $100, I would personally invest it into pay per click ads for my online business because then there’s a very strong possibility I can multiply that money and use it to treat my family to better things and pay off debts etc. I am glad that the mathematical system called “multiplication” exist in this world. It amplifies whatever we do and the profit returns we get, in a greater scale. I have yet to get started but I have heard that PPC is another good source of online income. I might have to learn from you very soon. Thanks for sharing with us Neil. That is so true. The cherry on top was this part to me “The whole idea is, if you know how to make 100 dollar worth your time and your future, you can definitely do a lot better with 500 or 1000 dollars”. THAT is the whole point of this article. Great post, Cathy! You’ve got it Andrea. That’s the take-home message. Start small, build a positive chain reaction and keep adding good stuff into it. That’s the beauty of seeing the bigger picture, or in this case, the bigger dollars. I predict that the financial return can be extremely rewarding with these good habits. Lots of great ideas here Cathy. One thing that I am a strong advocate of is investing in yourself and this doesn’t mean spending $40,000 on a degree (depending on what you choose, that can be a complete waste of money). It can be as simple as buying a book, creating a website targeting something that you are interested in, and investing in to one of the many “self motivated” education platforms out there that will help you acquire the skills you need. You can truly start an online business these days and can get rolling for under $100. It is amazing how things have changed in just the past few years in this respect. I also love the infographic. One thing that stuck out is that people who don’t succeed spend all their time hoping that other people around them fail instead of focusing on what they need to do to grow and create a business. This is very evident and something that I have seen over the years not only in my personal success, but within others success/lack of success. It’s very common to see people who want to be successful, but do not want to put the hard work into it. Instead, they complain about not being given the opportunity. I say equal opportunity is all out there for us. We are blessed to be living in this era of abundance; resources, support and technology wise. There are so many choices around us. As a result, I think we inadvertently stop learning how to survive or to achieve something. We look at our money and the first thing we want to do is to spend and accumulate material abundance because it only feels natural to do so. If there’s one thing we can learn from wealthy and successful people like Warren Buffet or Oprah Winfrey, I say starting out with minimal or with nothing is probably the best way to kick start ourselves. I know it sounds old school, but I still believe that some level of ‘inconvenience’ is vital to induce us to THINK on how to move forward. We need to start pushing that creativity button in our mind i.e how do I start an online business with just $100 dollars. Questions lead to answers, answers lead to actions and actions will lead to results. Before we know it, we are developing rich minds instead or poor ones. That’s one of the major difference between successful and non-successful people. Thank you for sharing your insight with us Kyle. Really appreciate it. That is so true about people wanting to look good in giving. Give from your heart because you want to, not because you want something in exchange. I also love the idea of investing in a passion. Some people are just afraid to take that leap into what they really want. By the way, great advice on creating a second income. Most people complain about not making enough, but will not take the time to think about opportunities to start one. Keep sharing those wonderful words of knowledge and wisdom! I’ve been advised time and again on the importance of savings and investment, but didn’t do much about it until I started paying for my own living. Every necessity we require in modern time comes with a big price tag. When I understood how much our basic commodities cost now and into the future, I finally realized the value of my money. It’s not about how much money we have that make us rich; it’s what we do with them that make us wealthy. Money is a tool that can turn desire into greed, but it can also drive passion and purpose in our lives. I have had some unsettling things happening in my life and it is going to effect my income. This website is a good reminder and help for me to get a few things in order. My husband just paid off one of my credit cards and he is going to be paying off another big ticket item so that the monthly bills are reduced. Then I am going to take the monthly bill amount I was paying to these two bills and put it on my highest bill until it is payed. Then I will take that monthly amount add it to another bill and do the same thing. Always increasing the monthly amount of the next bill with the monthly amount of the bill just paid off is called the snowball effect. Hi Robin, it’s always heartening to have someone share our financial burden; in this case, your husband. I am glad that you have constructed a plan on how to pay for your bills and stick to it with strong determination. It may take a while but you’ll eventually overcome this financial hurdle, Robin. Great post! Investing in ourselves is important. Over the last few years, I have really changed my relationship with money. I realize money doesn’t bring happiness. And it is funny, the less I worry about money, the more I attract. That’s a good irony Wendy. Now that you mentioned it, I am more concern with how my money can provide for me in the future than at present time. I don’t want to be worrying about paying for my food or health when I can no longer bring home the bacon. Creating a second income will take good care of that. Very thoughtful post and well presented. You’re absolutely right by suggesting people invest in themselves. The info-graphic says it all, doesn’t it? Thank you Rob. Self investment has become one of my top priority lately as I don’t see myself progressing much at work. More than being financially rich, I hope to live a more fulfilling life with my money.